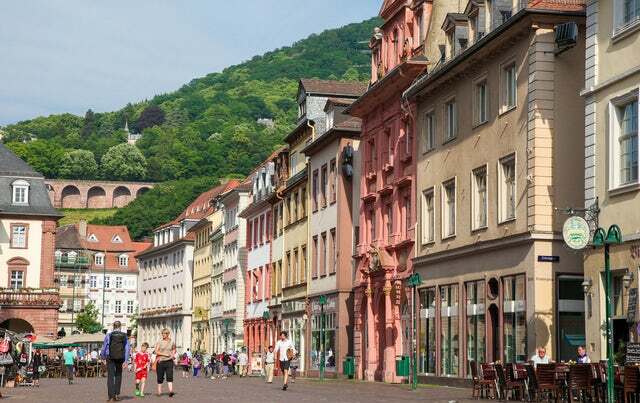 5 things to do in Heidelberg | UNIGLOBE Direct Travel Ltd.
Heidelberg is a Southern Germany city that lies on the banks of River Neckar on a steep valley in Odenwald. It is home to 149,000 inhabitants and due to its romantic and picturesque cityscape that includes Heidelberg Castle and the baroque style Old Town; it is one of the most popular tourist destinations in Germany. Below are a few fun things you can do when in the city. Why not start off your tour in Heidelberg by walking where great philosophers have walked? Amazingly, the Philosophers Way is a path located on the banks of Neckar River. It is a good place to unwind and relax...after walking on the trail; most people claim that they get new ideas on tackling their problems. Whether this is true, only you can tell...walk on it and tell us. Thinkers such as Hegel, Jaspers, or Hannah Arendt have come here in the past to think. The construction of this castle started in the 1300s. It is the most symbolic landmark in Heidelberg and acts as the center of the city. If you really want to learn some history about the city of Heidelberg, this castle is a good place to start the lesson. Start off at the Town Hall, then to the Old University and then to historic buildings like the Renaissance townhouse “Knight St. George” from 1592, and market squares with open-air cafes. The amount of activity here will suddenly make you feel at home after you realize that you are not the only tourist that is trying to figure his way around. This bridge dates as early as middle ages but the current structure was built in the 18th century. It affords you great views of the old town. It spans the entire width of Neckar River and is a popular photography site. The Banks of River Neckar offers unobstructed view of the Heidelberg Castle. It boasts a glassy stretch that is ideal for romantic walks, sunbathing, and sightseeing the surrounding forests and tranquil waters. If you ever find yourself in Heidelberg, explore all the beautiful sights that you can see. A tour in the town does not come cheap and you may never have another chance to explore its beautiful haunts.